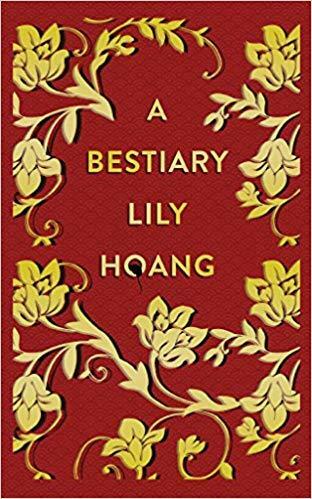 Lily Hoang’s latest book is “A Bestiary,” In this genre-transcending work, selected by Wayne Koestenbaum as the winner of the 2015 Cleveland State University Poetry Center’s Essay Collection, Hoang teases apart mythology, familial memory, and investigative essay into searing fragments, then weaves them into a dazzling swarm. Hoang models her postcolonial bestiary on the Chinese zodiac—“A pack of dogs. A swarm of insects. A mischief of rats./ You desire the human equivalent”—and uses it to represent such concepts as fidelity, beauty, and “the disgust of desire.” In doing so, she confronts such topics as feminine subjection, familial suffering due to assimilation (“‘Vietnamese women suffer better than all other people,’ my mother used to tell me”), and a sister’s addiction and death with a precision that is by turns vulnerable and justly incensed. Hoang subverts the moralizing tendencies of folklore to form a new hybrid mythology that, like all belief systems, reassures the believer—and the reader—that human vulnerability is undergirded by a sense of mutual care. “In order to join the collective, you must un-become, lose your face and skin, eject your identity,” she writes. “This is called belonging.” In Hoang’s mutinous cosmos, time warps and dilates to link ruptures between games and reality, the living and the dead, pain internalized and sickness expressed. Lily Hoang on Access Utah.